Welcome to the 24th quarterly review of DivGro, my portfolio of dividend growth stocks. I started DivGro in 2013 to focus on dividend growth investing, growing the portfolio into a powerful dividend-generating machine. DivGro now generates dividend income averaging $1,930 per month. 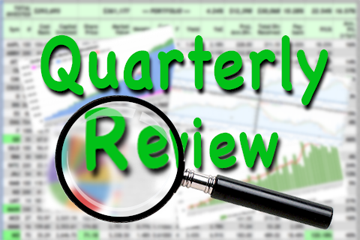 My quarterly reviews summarize the transactions executed in the past quarter and provide a summary of dividend income and dividend changes. 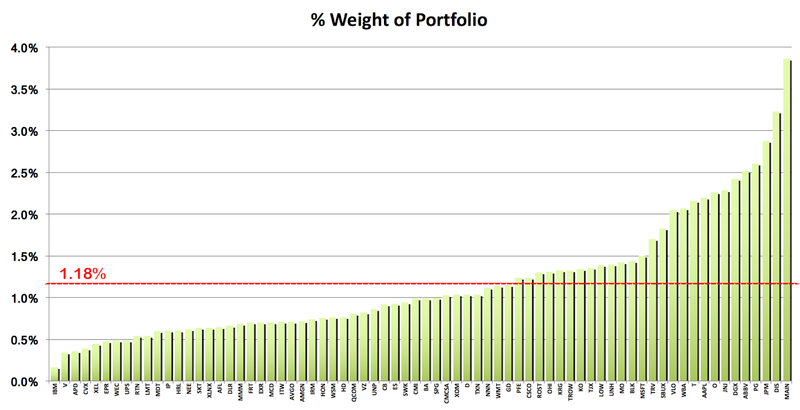 Additionally, I include charts showing various portfolio statistics. The reviews are mostly informational and help me to track progress over time. I collected dividend income of $5,486 this quarter and $20,320 in 2018, easily exceeding my goal of collecting $18,000 in 2018. DivGro's all-time dividend income now totals $65,445. 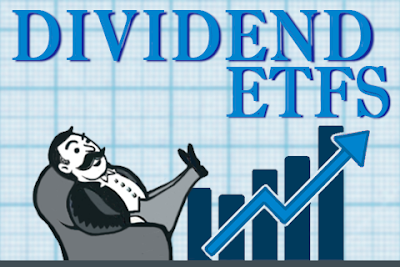 In Q4-2018, I collected dividend income totaling $5,486, up 2% from the dividends received in Q3-2018 and up 36% from the dividends received in Q4-2017. Last quarter, I reported projected annual dividend income (PADI) of $21,574 on investments totaling $451,371, for a projected annual yield of 4.78%. This quarter, PADI increased to $23,157 while total investments increased to $499,825, so now the projected annual yield is 4.63%. The following table shows the stocks that announced dividend increases in Q4-2018. I'm including the new annual dividend and yield on cost (YoC). DivGro's average YoC is 3.77%, down from the 3.79% reported at the end of Q3-2018. I'd like to see dividend increases above 7%. Six dividend increases in the table topped 7% and the arithmetic average of all the increases in Q4-2018 is 8.68%. At 12.58%, the (arithmetic) average year over year dividend growth rate is well above 7%, which makes me a very happy dividend growth investor! Note that Kite Realty Group (KRG) is paying the same dividend as it did last year. I invested in KRG for its high yield of 8.12% at $15.65 per share, and not so much for its ability (or not) to increase dividends. Generally, I would expect stocks with smaller dividend growth rates to offer higher yields. Scanning from the left, Omega Healthcare Investors (OHI) yields 7.24%, Walmart (WMT) yields 2.86%, Verizon (VZ) yields 5.13%, AT&T (T) yields 6.27%, Tanger Factory Outlet Centers (SKT) yields 6.52%, Federal Realty Investment Trust (FRT) yields 3.28%, and Main Street Capital (MAIN) yields 7.14%. While WMT and FRT have great track records of dividend payments and increases, perhaps it is time to find replacements! This quarter I added new capital totaling $48,455 to DivGro, including regular monthly deposits of $2,000, passive income of $1,455, and bonus deposits of $45,000. I call income received from Seeking Alpha publications and from blog advertising "passive" income, largely because the income is not guaranteed. Additionally, I added $6,508 from options trades. While I have obligations when selling covered calls or secured puts, the options income becomes available as soon as the trades are executed. So, I can immediately put that cash to use. Since starting with options trading, I've added options income totaling $42,793 to my DivGro account. I covered these transactions in monthly reviews and other articles on my blog, so I won't rehash details here. In Q4-2018, I worked hard at strengthening DivGro's risk profile, identifying riskier positions to trim or close and adding high-quality, lower risk stocks with stronger fundamentals. Riskier stocks tend to offer higher yields and reducing overall risk necessarily impacted PADI. To compensate, I added and deployed more capital in the fourth quarter than normal. Some transactions I executed are for tax-loss harvesting, a strategy to offset capital gains by realizing some offsetting losses. In most cases, I'm hoping to reinstate these positions in time to earn the next dividend payments. The positions I'm hoping to reinstate are listed above in Trimmed Positions. The closed positions are riskier or low-yielding positions that I'm no longer interested in owning. To assess risk, I utilize Dividend Safety Scores provided by Simply Safe Dividends (SSD). In my view, SSD is one of the premier resources for dividend growth investors. The dividend safety scores are based on several factors, including payout ratio, debt levels, payment history, earnings trends, recession performance, and size and scope of operations. From left to right, the colors represent Unsafe, Borderline Safe, Safe, and Very Safe dividend safety scores. (I no longer have Very Unsafe positions). DivGro's average safety score is 82.9, which is deemed Very Safe by SSD. DivGro now contains 84 different positions. 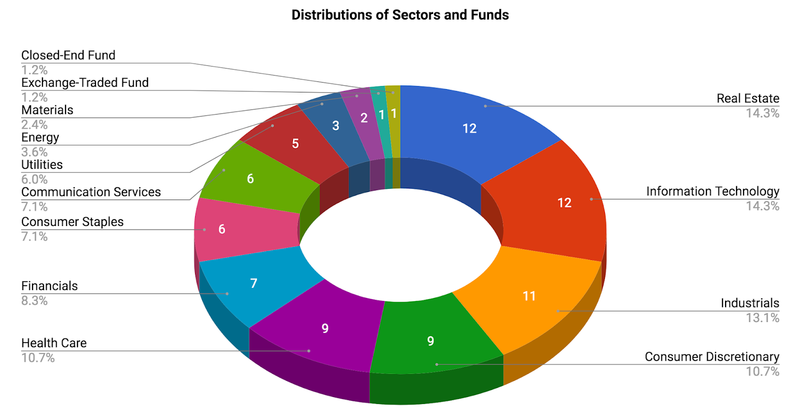 Of these, 72 are dividend growth stocks, six are dividend-paying stocks, and two are funds, one CEF (closed-end fund) and one ETF (exchange-traded fund). I also own four stocks that do not pay dividends. At the end of Q4-2018, DivGro's market value of $692,542 represented a simple gain of 38.6% on $499,825 invested. Of course, this does not take into account the timing and size of cash deposits. 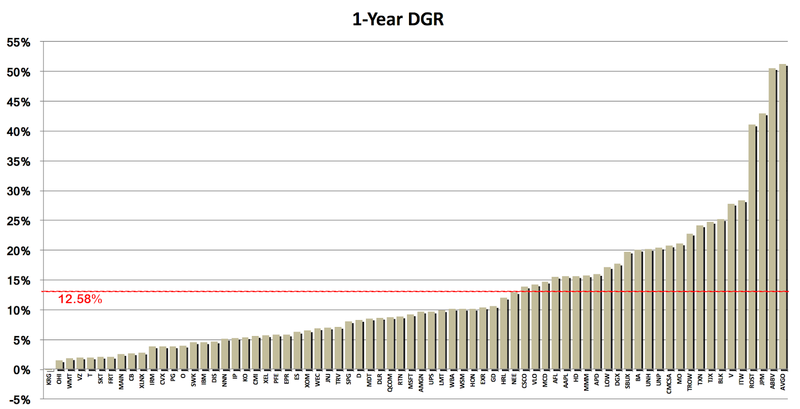 DivGro's internal rate of return since inception is 12.7%. In quarterly reviews, I consider general portfolio statistics. First, let's consider the weight of individual holdings in DivGro. I prefer to see equal weights, but this is difficult to achieve because I sell covered call options and to do so I need 100 shares (or multiples of 100 shares). Quite naturally, therefore, my portfolio will not be ideally weighted. MAIN is my largest position at about 3.86% of portfolio value, followed by Disney (DIS) at about 3.23%. I don't like having positions much larger than about 3.5% of portfolio value, so MAIN probably should be trimmed a bit. On the other hand, I do like that yield and those end-of-quarter special dividends! 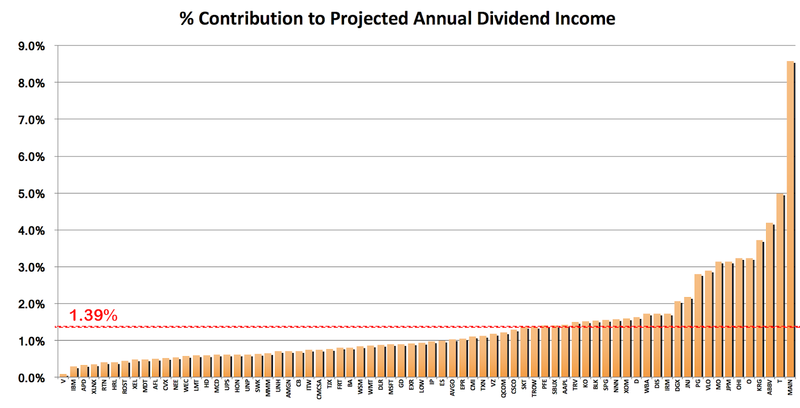 Single positions above 6% make me a bit nervous, though MAIN's dividend is relatively safe. Simply Safe Dividends give MAIN a dividend safety score of 69, which, although on the low side, is considered Safe. I'll monitor MAIN carefully and trim the position should conditions change. KRG is the top yielding position in DivGro, followed by OHI, IBM, and T. The average yield of my portfolio is 3.40%, while DivGro's yield on cost averages 3.77%. 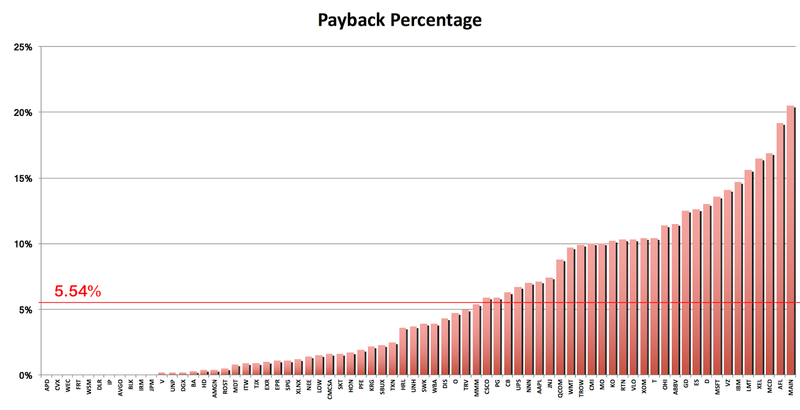 Finally, let's look at the payback percentage, or how much of my original investment I've received back in the form of dividends. Generally, stocks I've owned for a long time will have larger paybacks, but dividend yield also plays a role: payback will grow faster for stocks with larger yields. 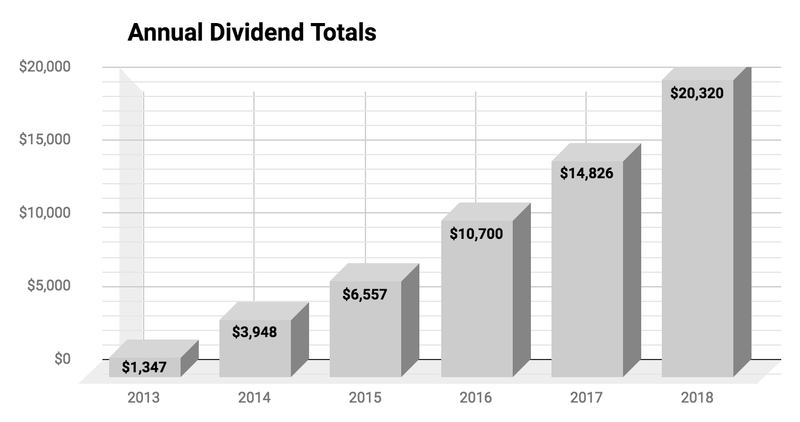 In 2019, I'm aiming to increase DivGro's PADI to $27,000 and to collect $25,200 in dividend income. These are stretching goals and represent increases of 17% and 24%, respectively. Thanks for reading! Please subscribe to receive an e-mail whenever I post new articles. Feel free to comment on this article and I'll do my best to respond as soon as possible. It doesn't get any better than this. You have an amazing portfolio and a great ability to write about it, in such detail too! I always love reading your posts and thank you for providing so much information to all of us! Thanks for your comment and kind words, DutchIndependence! I'm happy to share the information and doing so really helps me manage my portfolio. For example, preparing this quarterly review put some light on WMT (and perhaps FRT) and challenges me to have a relook at these positions. Wow, that is some tremendous growth in portfolio value and income, congrats on a fabulous 2018! I love the lengthy list of familiar blue chip companies paying you dividend in the most recent quarter! Hi, PIV -- thanks so much for commenting and for your kind words. 2018 was a reasonable year, even though it ended in a terrible quarter. 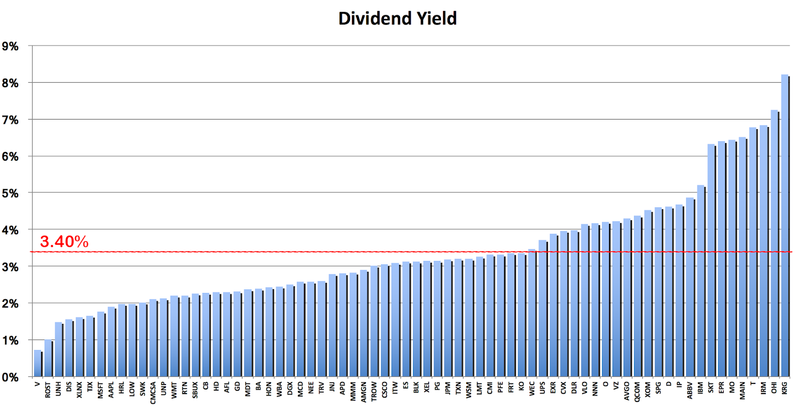 The good thing about dividend growth investing is that the dividends keep coming in, now matter what the market does!